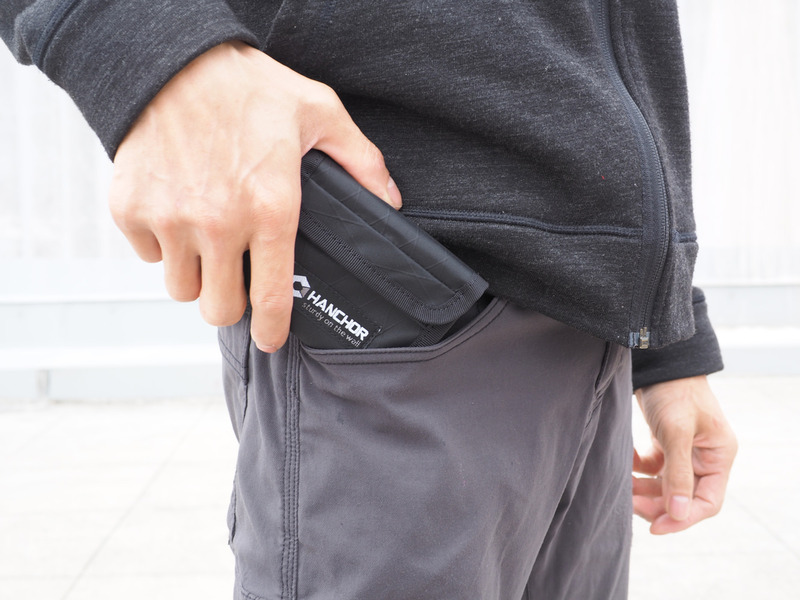 SLICE is a palm-sized wallet and you can carry it conveniently. 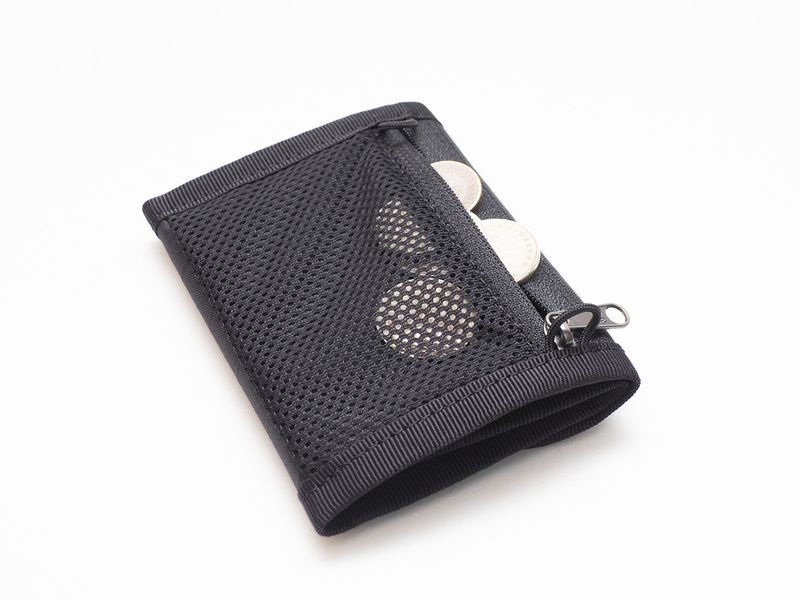 SLICE has clear layout and made you keep your things organized. 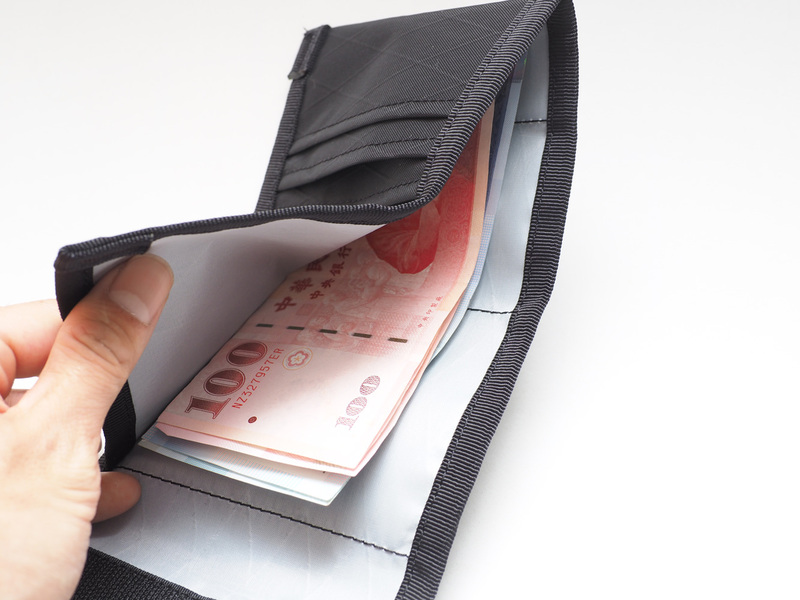 It is possible to hold cash, changes and all kinds of cards at the same time. 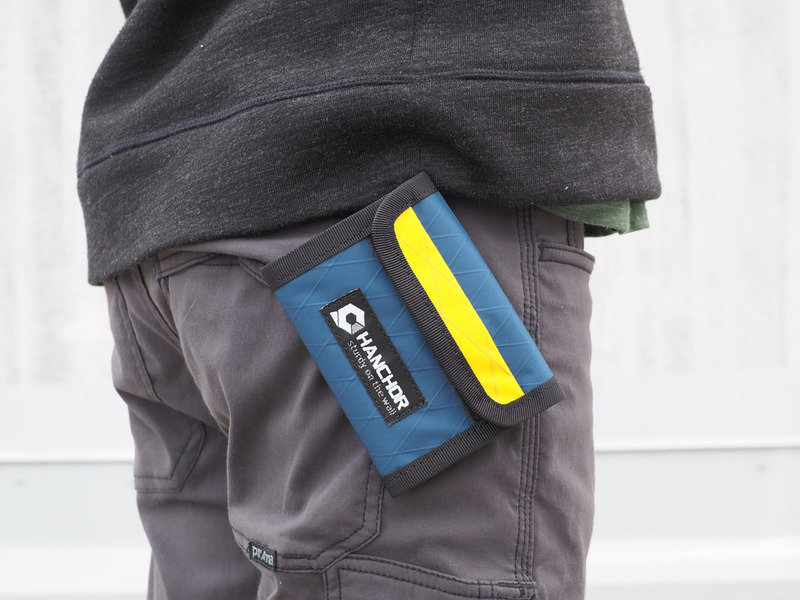 A functional and practical partner for casual daily use. 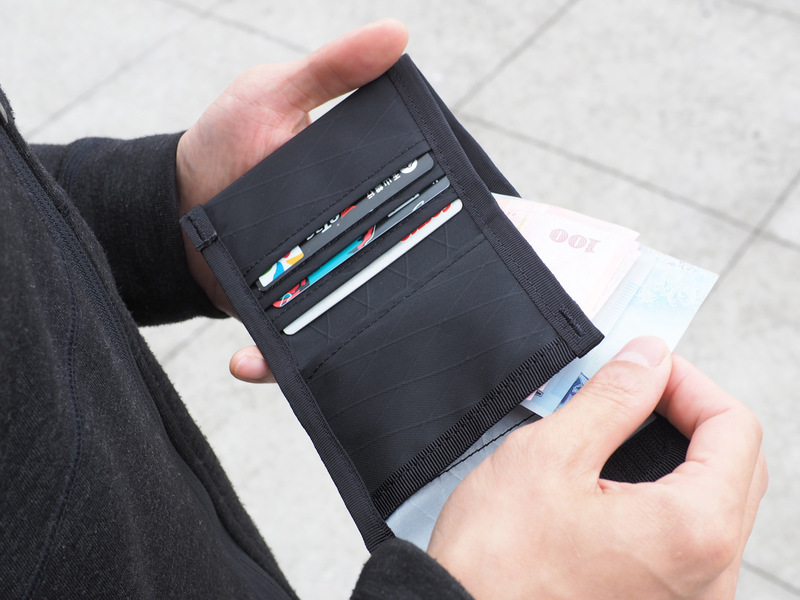 SLICE Trifold wallet is made of X-Pac VX21. It is built with minimalist concept and weighs only 34g. 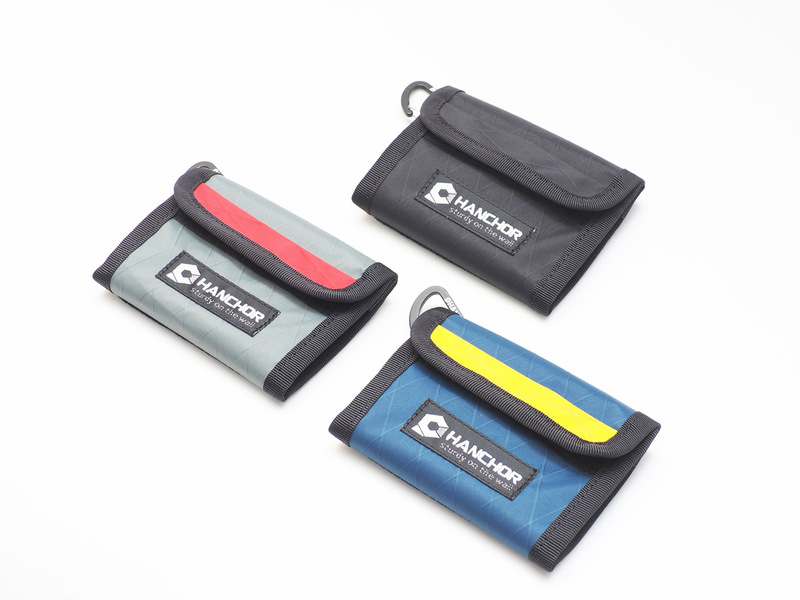 SLICE is available in three color choices, black/ blue-yellow/gray-red. 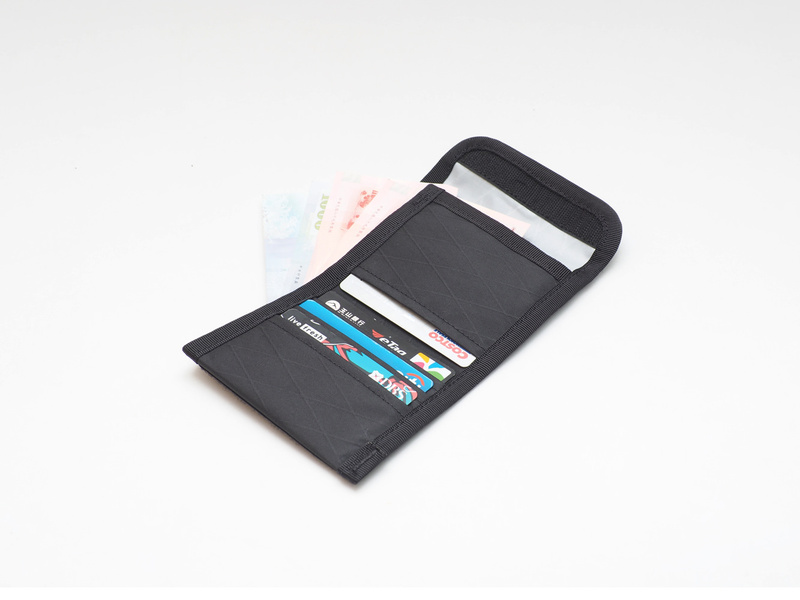 SLICE equipped with one big cash slot and 4 card slots. 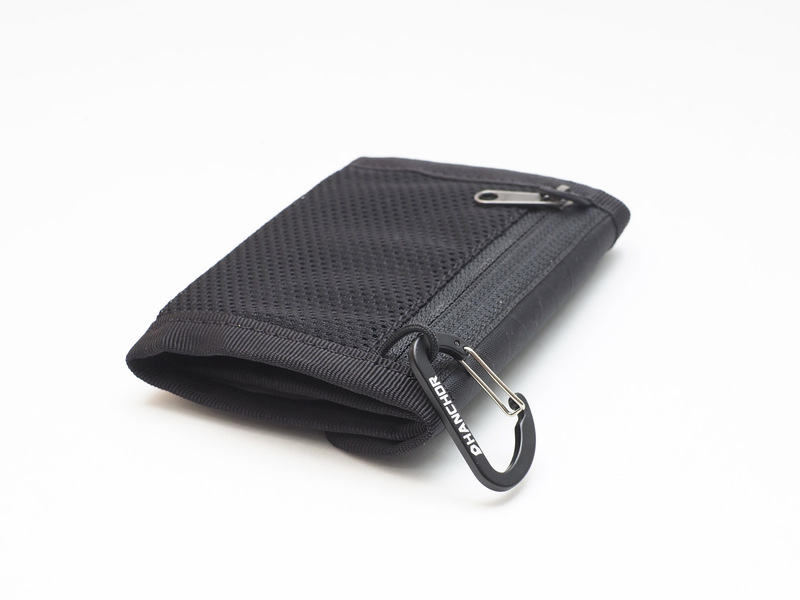 Outer mesh zipper pocket makes it super easy to access your chnages. SLICE is shipped with one HANCHOR alloy carabiner (size: small). 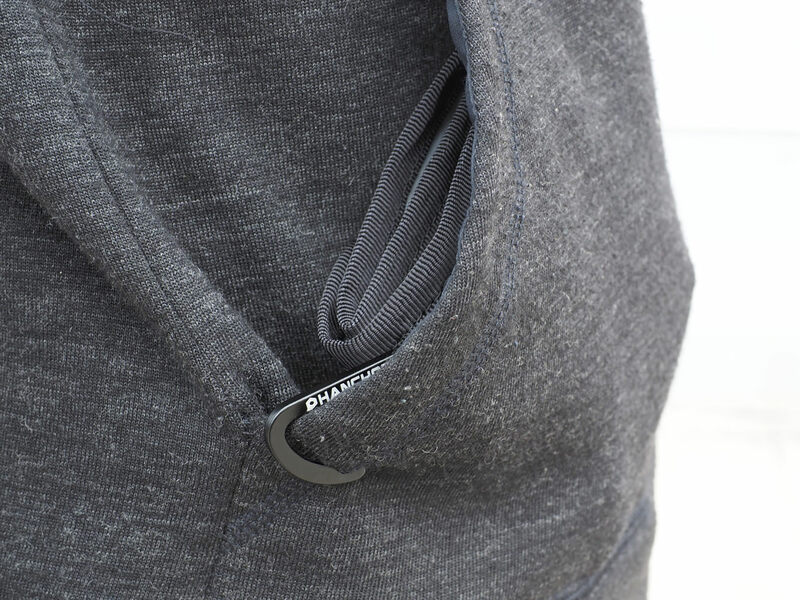 It is possible to hook SLICE on your belt loop of the pants or hook it in certain places in your backpacks. If you put SLICE in pockets, you could also hook it on the edge of your pocket. This may prevent SLICE from falling out and at the same time anti-theft. 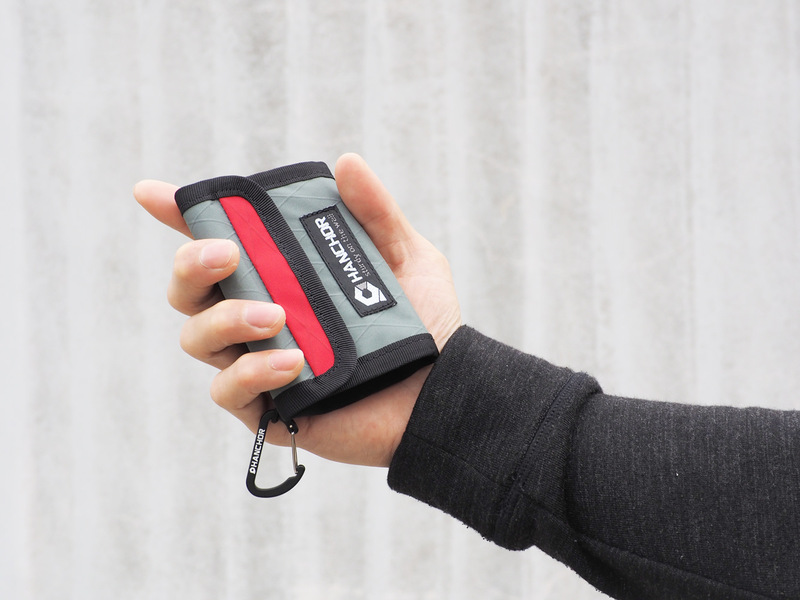 Palm-sized wallet, can hold with one hand. Hook SLICE on the belt loop.